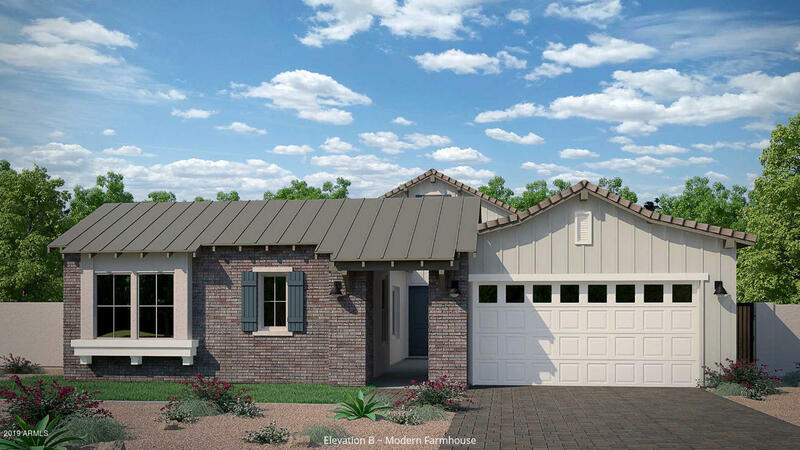 All Eastmark Dev Unit 6 South homes currently listed for sale in Mesa as of 04/23/2019 are shown below. You can change the search criteria at any time by pressing the 'Change Search' button below. "INTRODUCING: SPECTACULAR, BRAND NEW, NEVER BUILT floor plan. Architectural details abound! 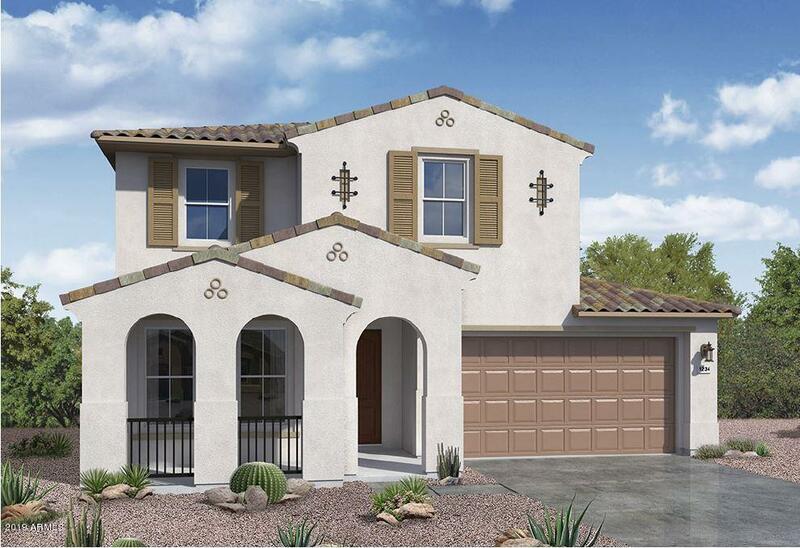 Starting at the stunning portico courtyard, winding your way to the private front door entry. Majestic 12-foot ceilings carry on the opulent, open feeling with the spacious great room and a kitchen like no other. Effortlessly entertain while guests easily enjoy floating between the combination of indoor/outdoor living spaces. A show stopper Chef's kitchen with GAS cooking, oversized island, spacious mornin"
"Absolute elegance & energy efficient too! Job transfer creates opportunity for you to own this better than new home in a top ten community. Owners did the best of the best upgrades to their dream home including; new highly effect. Trane HVAC XV18 system, wood plank tile flooring, gorgeous granite countertops, huge island, SS appliances w/double ovens & that ever popular subway tile complete this perfect kitchen. The master suite is your personal sanctuary comprised of a spacious walk-in shower"
"This gorgeous 4 Bedrooms new home in Electron at Eastmark community features Gourmet Kitchen with Stainless Steel Appliances, Espresso Staggered Kitchen Cabinets, Granite Kitchen Counters, Frameless Walk-In Master Shower, 12' Ceiling in Great Room, 90 Degree Multi-Panel Sliding Door, Game Room & Den, Laundry Cabinets & Sink, 2' Garage Extension, Upgraded Carpet & Pad, 12'' x 24'' Tile and so much more!" 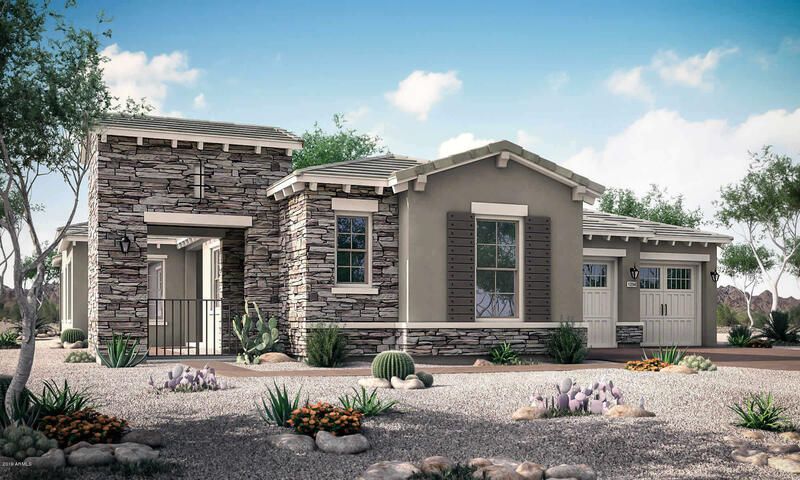 "Imagine a simplified move-in in this warm and inviting, BRAND NEW, single level home in the thriving, amenity-rich community of Eastmark. 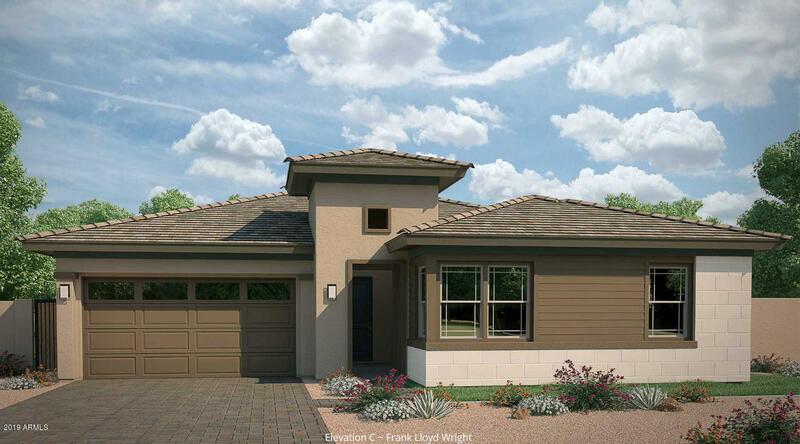 With 3 beds, 2 full baths, a study & 3 car garage, this home provides both the space needed to entertain friends and neighbors as well as the intimacy needed for a cozy night at home. Designer appointed flooring, accent lighting & upgraded countertops shine in both the chef's kitchen & spa-like baths - be the envy of all your friends in this gorgeous home. 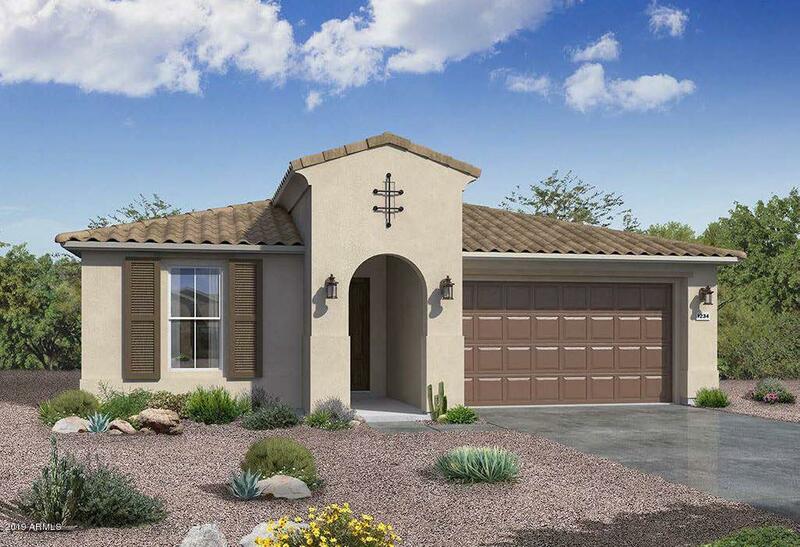 Ab"
"This gorgeous 4 Bedrooms new home in Electron at Eastmark community features Gourmet Kitchen with Stainless Steel Appliances, White ''Linen'' Staggered Kitchen Cabinets, Granite Kitchen Counters, Frameless Walk-In Master Shower, 12' Ceiling in Great Room, Game Room & Den, Laundry Cabinets & Sink, Garage Extension, Wood-Look Tile and so much more!" "THIS IS IT! Aren't you tired of seeing the same old worn-out floor plans from 10 years ago that don't have what today's homebuyer needs? Come see why this highly sought after floor plan CAPTIVATES every time! 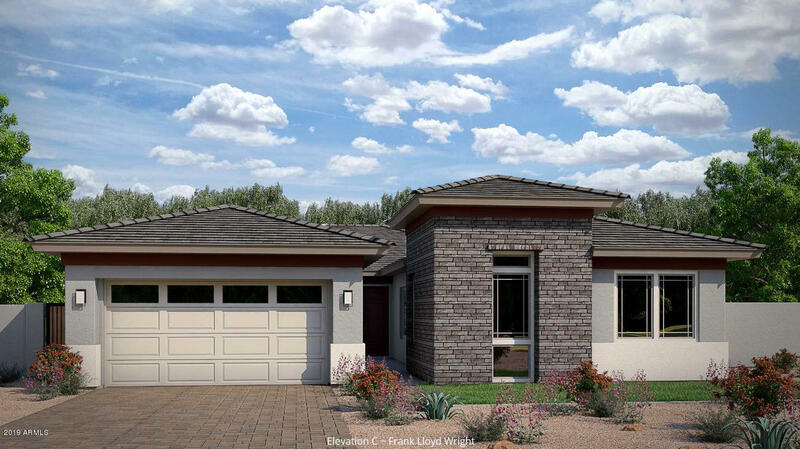 Ideal four bedrooms, three and a half bathrooms, 10-foot ceilings, includes Home+ with separate entrance from the patio that is ideal for MULTI-GENERATIONAL LIVING: Parents/Winter Visitors and Boomerangers. Chef's paradise features oversized island kitchen, butler's pantry with prep sink an"
"This gorgeous new home in Electron at Eastmark community features Gourmet Kitchen with Stainless Steel Appliances, Light Gray Staggered Kitchen Cabinets, Expanded Walk-In Pantry, Lower Cabinets at Extended Nook, Granite Kitchen Counters, 90 Degree Multi-Panel Sliding Door, Frameless Walk-In Master Shower, 12' Ceiling in Great Room, Center Pull Sliding Glass Door in Great Room, Game Room & Den, Laundry Cabinets & Sink, Garage Service Door, Wood-Look Tile, and so much more!" 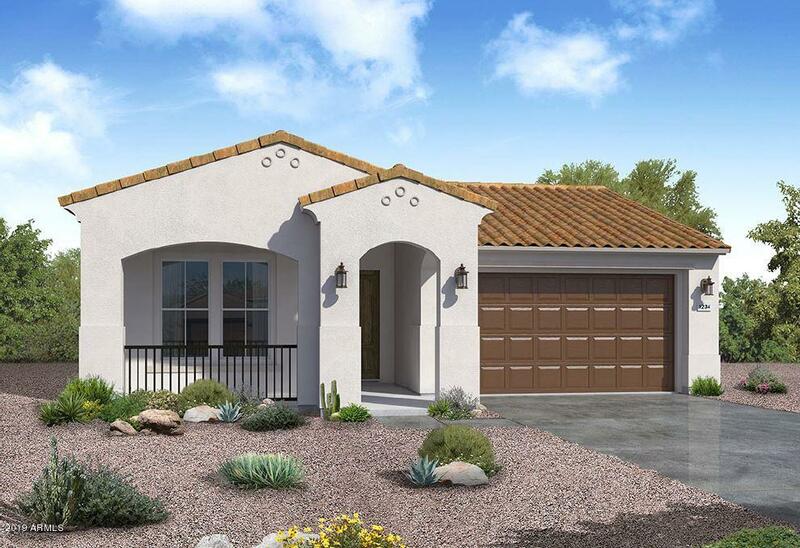 "This gorgeous new home in Electron at Eastmark community features Gourmet Kitchen with Stainless Steel Appliances, White Linen 42'' Upper Cabinets, Expanded Nook & Pantry, 90 Degree Corner Slider, Base Laundry Cabinets with Sink, Wood-Look Tile, Garage Extension with 3 Car Garage and so much more! Home will be completed by end of Feb. 2019!" 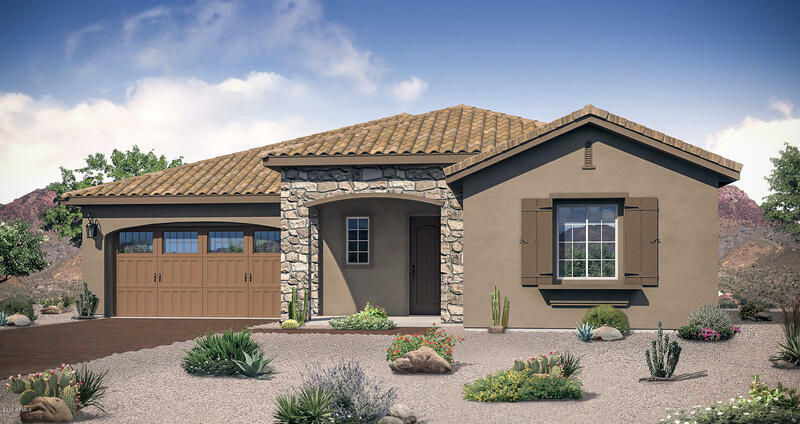 "Sierra - ''TO BE BUILT'' GRAND OPENING ON MARCH 30, 12-3:00 Generous open Great Room design with oversized island to entertain, enjoy friends, or oversee homework. Huge back yard with optional extended covered patio provides for any pool/kitchen/spa you can dream of. 3 car tandem garage tucks your truck and toys in nicely or can be converted to an additional private bedroom suite on 1st floor. Fully customizable color and finish with professional designer. Extreme energy efficiency through Spr"
"''TO BE BUILT'' GRAND OPENING ON MARCH 30, 12-3:00 Generous open Great Room design with oversized island to entertain, enjoy friends, or oversee homework. Separate guest suite gives privacy to all. 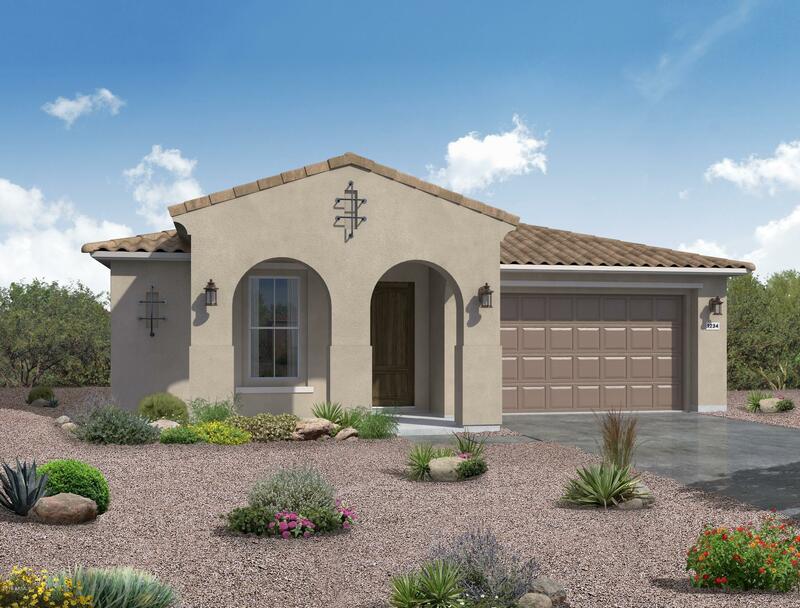 Back yard with optional extended covered patio provides for pool/kitchen/spa to complete your own personal outdoor living space. Fully customizable color and finish with professional designer. Den/Office can be selected in lieu of 3rd Bedroom. 2+ car garage can be extended to accommodate your extra "
"''TO BE BUILT'' GRAND OPENING ON MARCH 30, 12-3:00 3 Separate Bedroom Suites. Privacy for all. Generous open Great Room design with oversized island to entertain, enjoy friends, or oversee homework. Large back yard with optional extended covered patio provides for any pool/kitchen/spa you can dream of. Fully customizable color and finish with professional designer. Extreme energy efficiency through Spray Foam Insulation on entire living envelope. 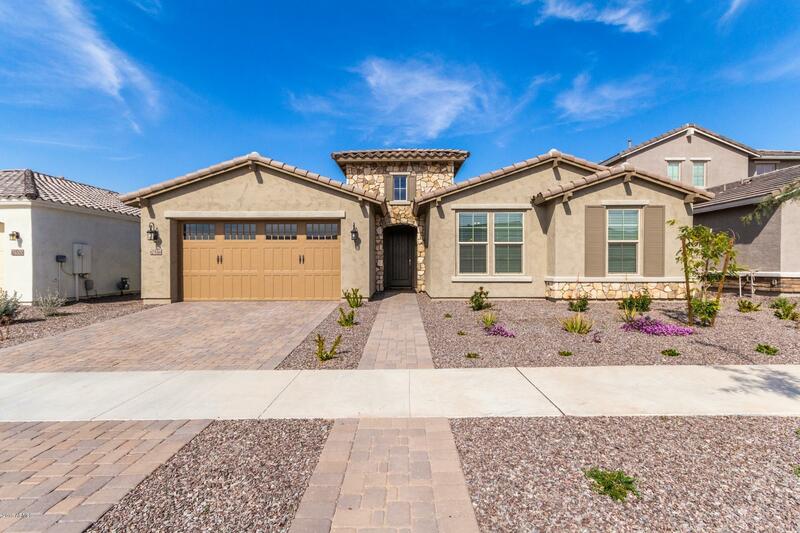 Complete Smart Home convenience and control wit"
"''TO BE BUILT'' GRAND OPENING ON MARCH 30, 12-3:00 Generous open Great Room design with over-sized island to entertain, enjoy friends, or oversee kids homework. Large back yard that provides for any pool/kitchen/spa you can dream of. 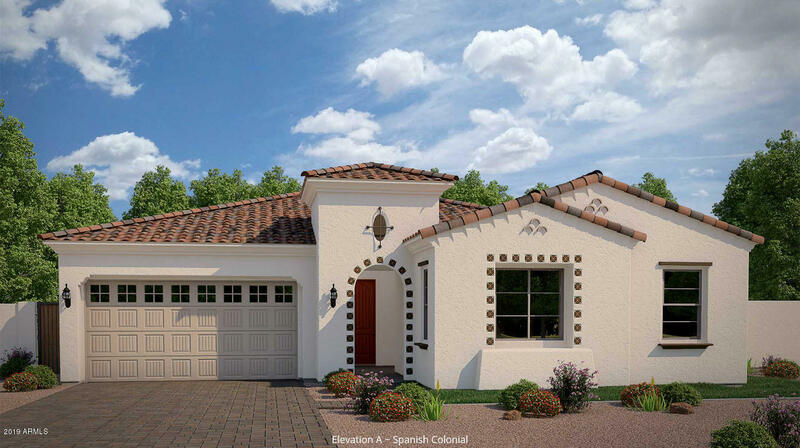 Flexibility in floor plan allows you to customize to your families lifestyle. 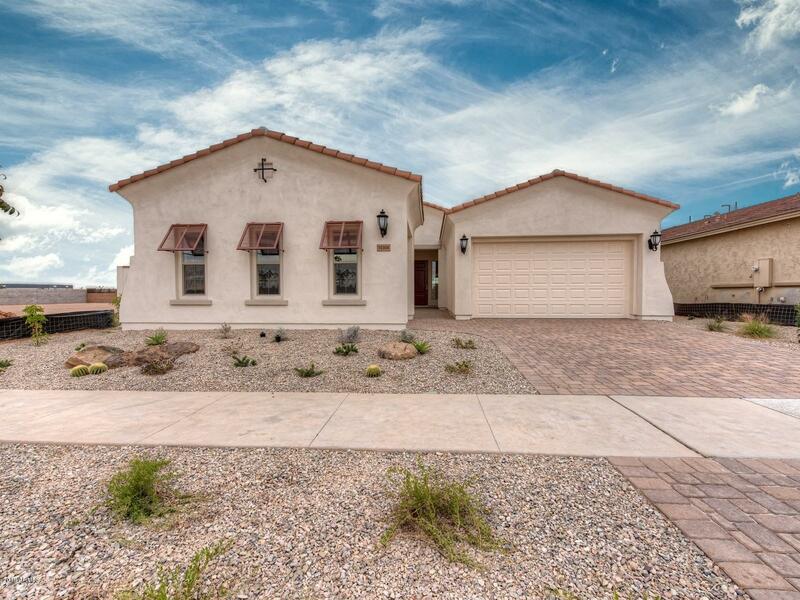 From 3 BR, 3 Bath, an open or enclosed office/den, or extended covered patio. Fully customizable color and finish with professional designer. Extreme energy efficiency through Spray Foam"